To schedule an appointment with Summit Motorcars please fill out the form below. After we receive your request, we will contact you to confirm the appointment. For immediate assistance, please call us at (330) 345-1474. 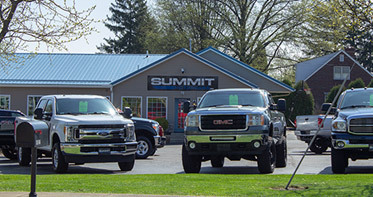 Welcome to Summit Motorcars of Wooster, Ohio. We are a used car dealership in Wooster whose primary focus is the customer. We have built a reputation on providing courteous and honest service. At Summit Motorcars, we strive to ensure each customer finds the vehicle they want at the price they can afford. Stop by and see why so many others have made Summit Motorcars the place to purchase their vehicles! At Summit Motorcars, our primary focus is you, the customer! 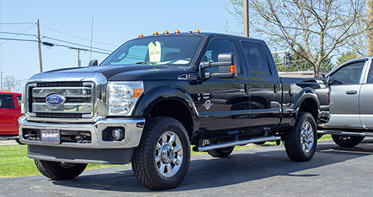 We have an excellent selection of quality pre-owned inventory located in Wooster, Ohio. Stop by today and let our experienced and talented sales staff help you find the car you've been searching for! Our goal is to provide each and every customer with an honest and fair approach to purchasing their next vehicle. Stop by today and see why so many others joined the Summit Motorcars family! To speak to a representative, please call us at (330) 345-1474. Your next car is waiting at Summit Motorcars. Browse from a variety of makes and models for sale in Wooster, Ohio. To speak to a representative, give us a call at (330) 345-1474.
Financing a vehicle can be stressful, but at Summit Motorcars we make it easy! "Joe is an excellent salesman, This company operates like a very well oiled machine. I couldn't be happier with the way they treat you, from the time you enter the door till the time you shake hands and leave. In the rain after a test drive they pulled the vehicle for me gave me a creeper an a shop light and let me look at the underside of the vehicle. 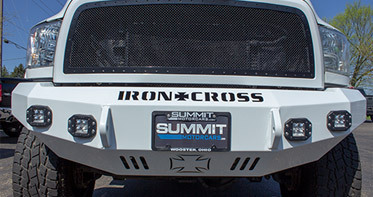 Have the upmost respect for all involved in Summit Motorcars they are top notch and an honest bunch. Will definitely sent people there way." "These guys are great! I can't say enough good things about them. They worked with me on price and I drove away with a good vehicle. Thank you guys!!!" "Joe is GREAT! He made me an exceptional deal on an Acura. He even brought the car to my house! I met Jason the Owner/General Manager while there. He is a really cool guy. The Acura I got was a fresh trade in so Jason said he wouldn’t let me go without a proper detail of the car. I didn’t have time to get it completed today but am looking forward to returning and seeing the guys when they detail my car. Thanks Jason and Joe! I wish more car dealers were like you!" "Joe was great to work with. From my first visit checking out the truck until I signed the papers. Joe kept great contact with me and answered every question I had. I got a great truck and couldn't be happier."